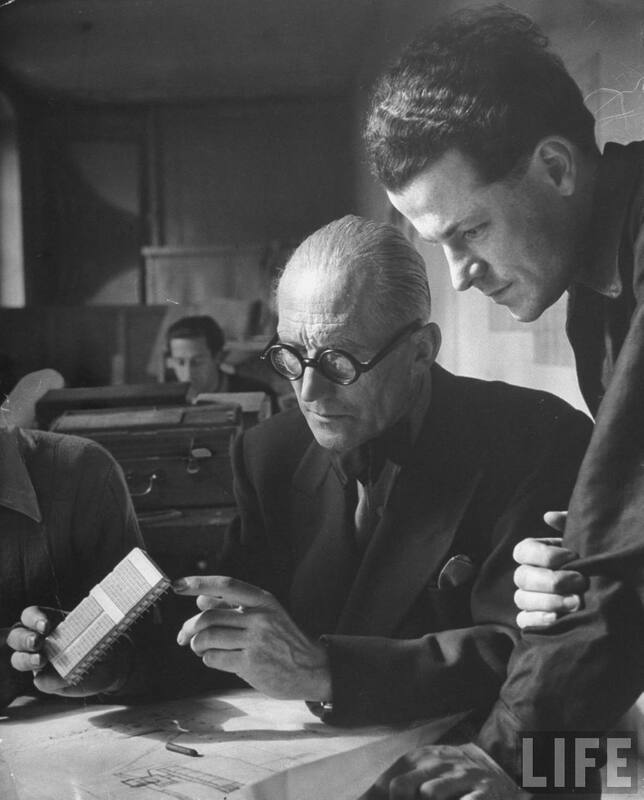 Le Corbusier and student working on project for French ministry of reconstruction-- Paris, France 1946. 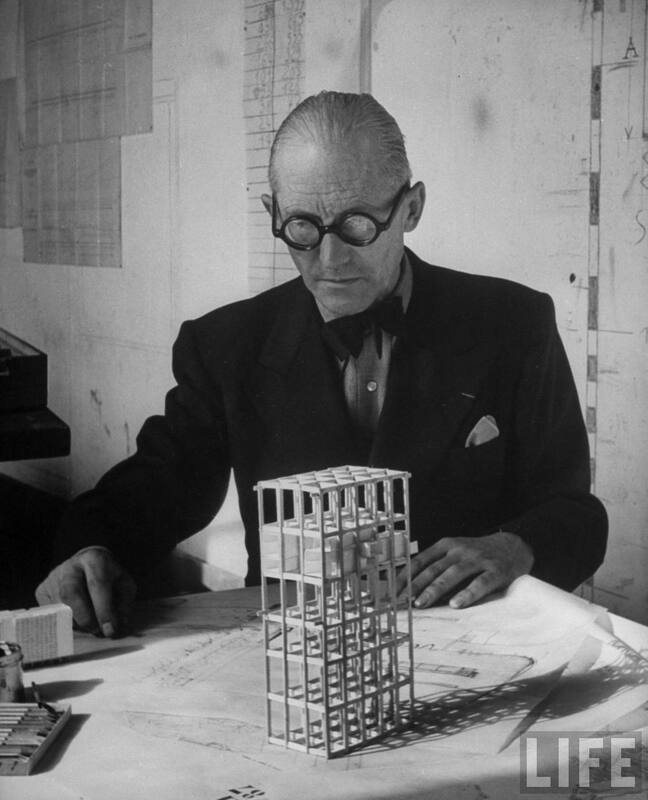 Architect Le Corbusier studying architectural plans & small model of building in his office-- Paris, France 1946. He was born Charles-Edouard Jeanneret in Switzerland in 1887. 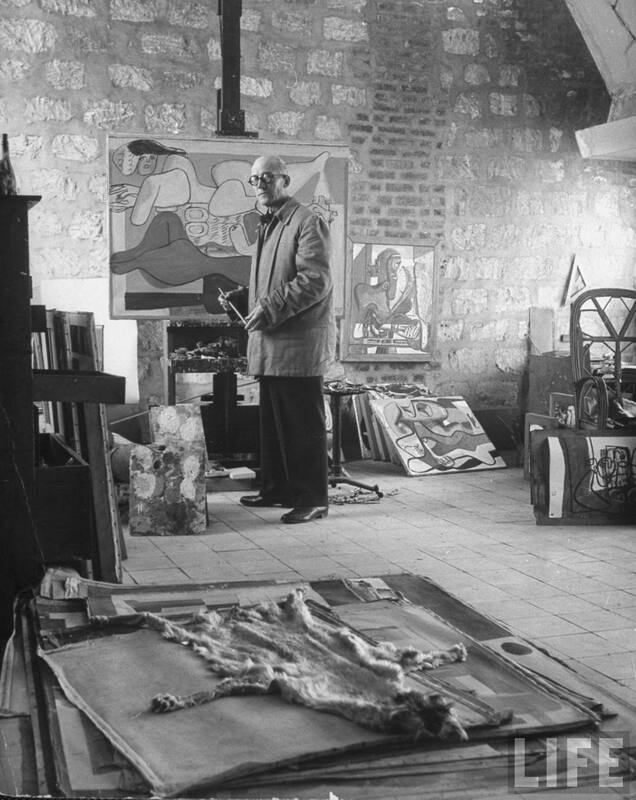 When he was 29, he went to Paris, where he soon after adopted his maternal grandfather’s name, Le Corbusier, as his pseudonym. Jeanneret had been a small-town architect; Le Corbusier was a visionary. He believed that architecture had lost its way. Art Nouveau, all curves and sinuous decorations, had burned itself out in a brilliant burst of exuberance; the seductive Art Deco style promised to do the same. The Arts and Crafts movement had adherents all over Europe, but as the name implies, it was hardly representative of an industrial age. Le Corbusier maintained that this new age deserved a brand-new architecture. “We must start again from zero,” he proclaimed. 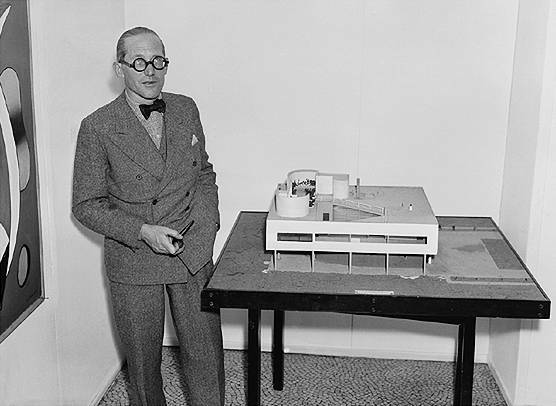 French architect Le Corbusier with an architectural model of his Villa Savoye which was recently built in a suburb near Paris-- 1935. The new architecture came to be known as the International Style. 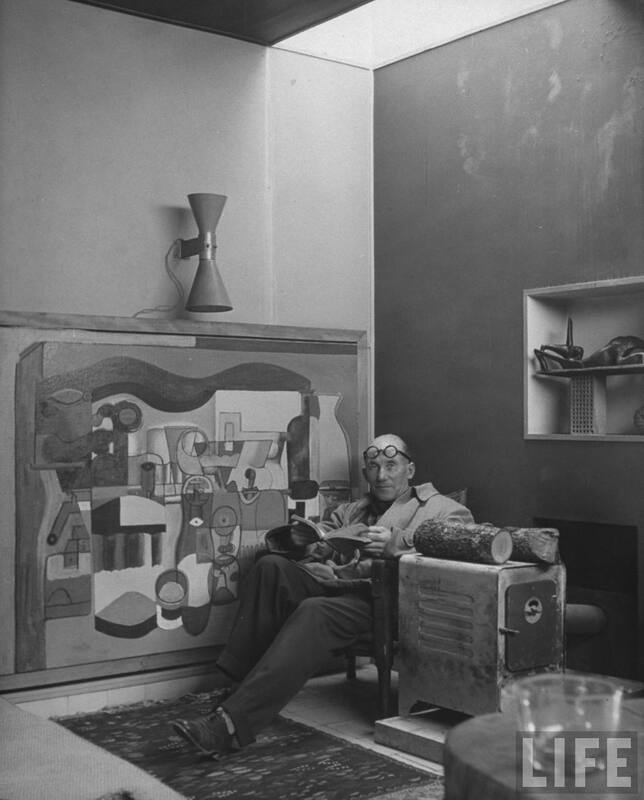 Of its many partisans — among them Ludwig Mies van der Rohe and Walter Gropius in Germany, Theo van Doesburg in Holland — none was better known than Le Corbusier. He was a tireless proselytizer, addressing the public in manifestos, pamphlets, exhibitions and his own magazine. He wrote books — dozens of them — on interior decoration, painting and architecture. They resembled instruction manuals. An example is his recipe for the International Style: raise the building on stilts, mix in a free-flowing floor plan, make the walls independent of the structure, add horizontal strip windows and top it off with a roof garden. But this makes him sound like a technician, and he was anything but. Although he dressed like a bureaucrat, in dark suits, bow ties and round horn-rimmed glasses, he was really an artist (he was an accomplished painter and sculptor). What is most memorable about the austere, white-walled villas that he built after World War I in and around Paris is their cool beauty and their airy sense of space. “A house is a machine for living in,” he wrote. The machines he admired most were ocean liners, and his architecture spoke of sun and wind and the sea. 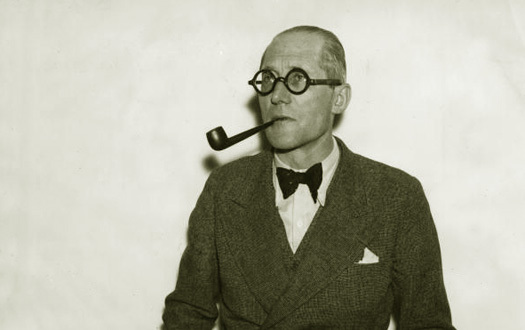 French Architect Le Corbusier-- circa 1938. By 1950 he had changed course, abandoning Purism, as he called it, for something more robust and sculptural. His spartan, lightweight architecture turned rustic, with heavy walls of brick and fieldstone and splashes of bright color. He discovered the potential of reinforced concrete and made it his own, leaving the material crudely unfinished, inside and out, the marks of wooden formwork plainly visible. Concrete allowed Le Corbusier to explore unusual shapes. The billowing roof of the chapel at Ronchamp resembles a nun’s wimple; the studios of the Carpenter Center for Visual Arts at Harvard push out of the building like huge cellos. For the state capital of Chandigarh in India, he created a temple precinct of heroic structures that appear prehistoric. 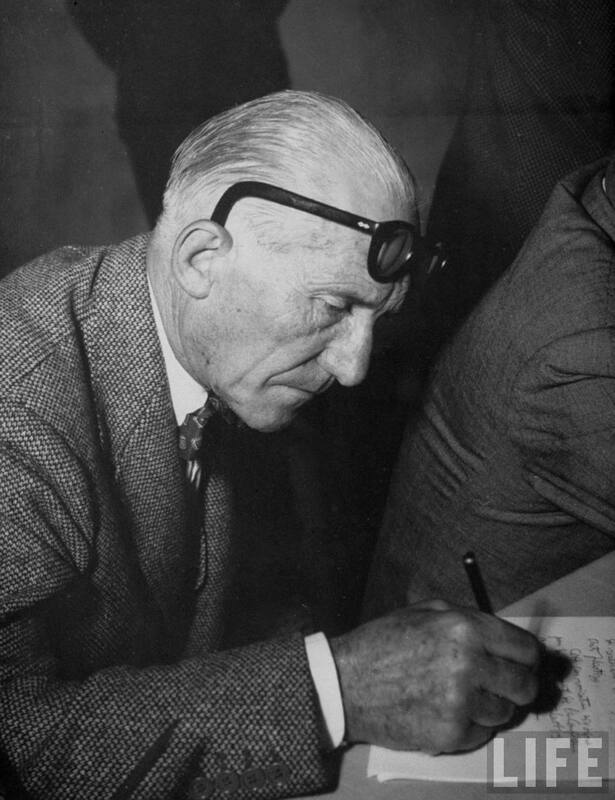 Le Corbusier was the most important architect of the 20th century. Frank Lloyd Wright was more prolific — Le Corbusier’s built oeuvre comprises about 60 buildings — and many would argue he was more gifted. 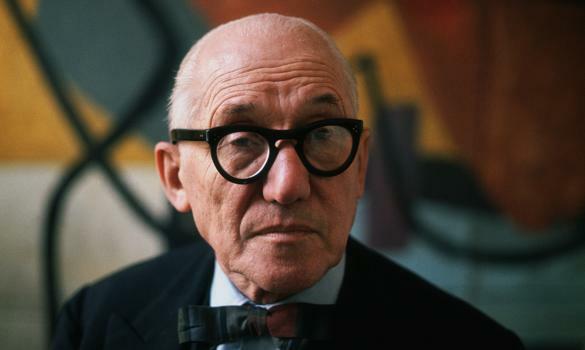 But Wright was a maverick; Le Corbusier dominated the architectural world, from that halcyon year of 1920, when he started publishing his magazine L’Esprit Nouveau, until his death in 1965. He inspired several generations of architects — including this author — not only in Europe but around the world. He was more than a mercurial innovator. Irascible, caustic, Calvinistic, Corbu was modern architecture’s conscience. 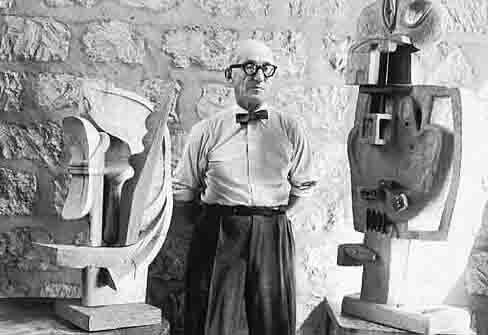 Le Corbusier shows his work Sculpture, in wood and iron, that is part of an exhibition at the Modern Arts Museum in Paris in 1953. He was also a city planner. “Modern town planning comes to birth with a new architecture,” he wrote in a book titled simply Urbanisme. “By this immense step in evolution, so brutal and so overwhelming, we burn our bridges and break with the past.” He meant it. There were to be no more congested streets and sidewalks, no more bustling public squares, no more untidy neighborhoods. People would live in hygienic, regimented high-rise towers, set far apart in a parklike landscape. This rational city would be separated into discrete zones for working, living and leisure. Above all, everything should be done on a big scale — big buildings, big open spaces, big urban highways. 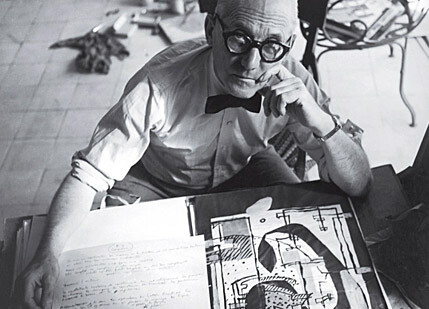 A portrait of the noted Swiss architect, urbanist and interior designer Charles-Edouard Jeanneret, better-known under his nom de plume of Le Corbusier. He called it La Ville Radieuse, the Radiant City. Despite the poetic title, his urban vision was authoritarian, inflexible and simplistic. Wherever it was tried — in Chandigarh by Le Corbusier himself or in Brasilia by his followers — it failed. Standardization proved inhuman and disorienting. The open spaces were inhospitable; the bureaucratically imposed plan, socially destructive. In the U.S., the Radiant City took the form of vast urban-renewal schemes and regimented public housing projects that damaged the urban fabric beyond repair. Today these megaprojects are being dismantled, as superblocks give way to rows of houses fronting streets and sidewalks. Downtowns have discovered that combining, not separating, different activities is the key to success. So is the presence of lively residential neighborhoods, old as well as new. Cities have learned that preserving history makes a lot more sense than starting from zero. 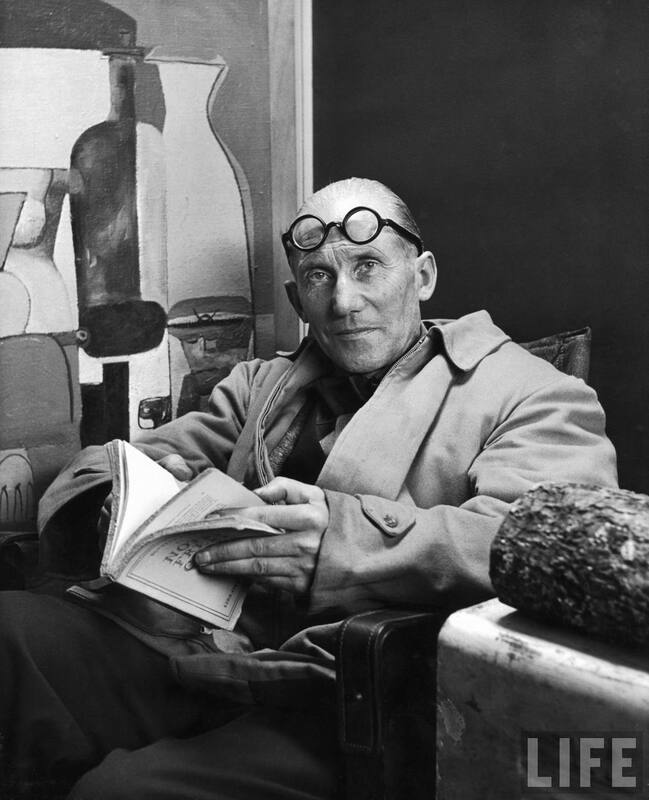 It has been an expensive lesson, and not one that Le Corbusier intended, but it too is part of his legacy. It´s so impressionant your post, Are you an arquitect? I like so much your blog.